In our infant room, you will begin to see many changes for your child. In this room, we function on the needs and schedule of each individual infant and family. We require you to provide the breast milk, formula and food you are introducing to your child. We require that you provide a bottle for every feeding. For example, if your child is eating every two hours and is in our care for 8 hours, we ask you to bring 4 bottles for your infants feeding schedule. As your infant begins to develop and change, we will continue to honor your infants needs and schedule. We will begin to introduce your infant to large motor development where we will encourage them to reach for an object, follow the object with eyes, sit up, tummy time, music, sensory and art opportunities. Language development is huge in this room, as we do not use baby talk. Meal time is social time and our staff will sit with, hold and nurture the infant while allowing a calm relaxing environment. We will begin to introduce your infant to the tippy cup, at ten months and encourage your infant to begin self-feeding as well. By 11 months we will introduce your infant to the toddler chairs and allow them to begin sitting in a chair at a low table. Our staff will continue to sit with your infant encouraging this milestone in your infant’s life. Our curriculum is developed to work with each infant individually on each skill set, at their pace, to encourage continued growth and development. 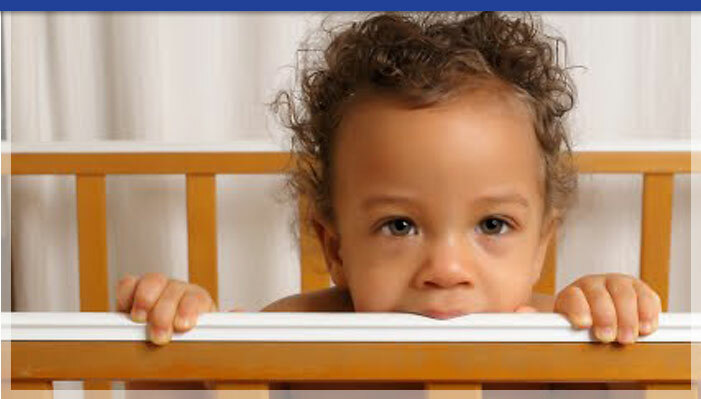 We will begin transitioning your infant to our Toddler program at 11 months. When we have reached that time, we will notify you with a transition letter, which will include the details of how our transition will work, to make the transition for both you and your infant enjoyable and successful.